In my new role working with digitisation of Further Education and Training, the passion for quality in skills-based programmes has been constantly been the driver in my conversations with clients and our team from our CEO to our tech and business success guys. Ireland Skills Live 2019 was one of the best events this year for me personally. I got to meet so many like minded people including Siobhan Magner, Jonathan Brittain, Accounting Technicians Ireland, Combilift and many more. The event brought this type of learning to life, with young people enjoying competency assessment on everything from diggers and welders to facts and figures. 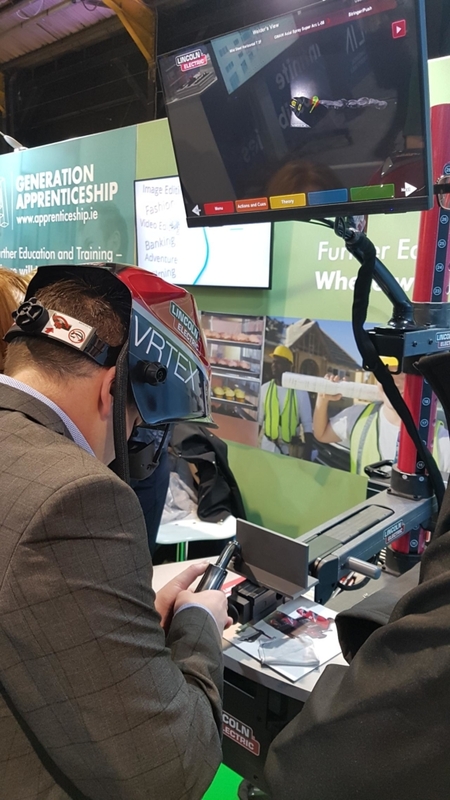 The highlight for me was the Donegal ETB stand and buzz of competing at a real life skill that the young people were queuing out the doors for. Our CEO Ann-Marie Mc Sorley has always talked about digitisation and making life easier for our clients , the expo showed this in real time with students taking pictures with their phones writing notes on their phones and recording videos, times are changing and we as businesses need to change with them, data and mobile is the future. I am happy to have a cup of tea/coffee and chat with anyone who wants to learn more about digitising and streamlining your processes allowing you to comply and cut costs. Competitive Advantage – Learning through Partnership IITD Awards 2019 – It’s a Veri happy day….